Flowers Bread Route distributorship for sale in the Raleigh, North Carolina region for $155,000! Company related financing with an estimated $78,000 down! Currently grossing an estimated $536,848 per year in sales and nets $87,100! Distributorship and “protected territory” are purchased through current independent distributor and contracted through Flowers Baking Co. Flowers currently distributes its well-known brands of Nature’s Own, Sunbeam, Cobblestone Bread, Butterkrust, Tastykake, Dave’s Killer Bread, and much more! This route has 19 accounts and delivers to popular grocery stores, convenience stores and restaurants. Well established route with plenty of growth opportunity. Turnkey business backed by a publicly traded company on the NYSE! 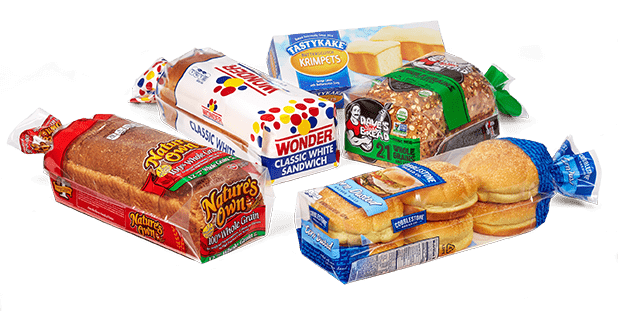 To summarize, you will start your day by picking up your bread order from the warehouse and then proceed to sell and deliver product to existing accounts that include popular grocery stores and convenience stores usually starting in the morning hours. Your responsibilities will include the following: evaluating and creating an order of product needed for the shelf, pull the order from your inventory, receive the order through the back door, and then fill the order to the shelf. Currently this route averages $10,324 in weekly sales, and profits $98,280 per year in gross income. Income documentation will be provided to all serious buyers. As an independent distributor, distributors are compensated by how much product they purchase from the bakery versus what they sell. This route currently averages $10,324 in gross weekly sales and profits an average of 18.3% ($98,280 yearly or $1,890 per week). $1,890 per week is the route’s weekly income average! This number can be increased, by supporting the company’s promotions and up selling within your designated territory. Route values can also be increased by new accounts opening, new product lines being added, and simple inflation. Yes, company related financing for an estimated $77,000 for 10 years. Additional qualifications require a background check (no felonies). Down payment for the remaining balance requires a certified cashier’s check. If more financing is needed you can review additional Financing Options Here. Expenses include, but are not limited to: route payment (if you finance), fuel, vehicle maintenance, warehouse fee, handheld maintenance, vehicle lease payments, and insurance (Note: route payments vary for each distributor, depending on how much money you put down verses how much you finance). The current owner estimates $215 per week in expenses/overhead or $11,180 per year (Note: Expenses represent a cash purchase and do not account for finance payments if requiring a loan to purchase). There is no vehicle included in the purchase. The current owner services this route using a 2007 Isuzu NPR Truck with lift-gate (52k miles) that is available to purchase as a separate transaction. Estimated value is $25,000. Common delivery vehicles used for this type of business are box trucks or trailers. When considering additional vehicle lease or purchase, Routes For Sale recommends Bush Trucks. The gross income for the route is $98,280 per year, minus your above mentioned expenses of $11,180 gives you an estimated $87,100 in net income or cash flow yearly. Route valuations are determined by using a ratio based on the weekly sales average of the business. The selling price of this route is $155,000 based on a weekly sales average of $10,324; this places the business at a selling ratio of approximately 15:1. Sellers may use different valuation methods based on fair market comparable sales, but typically the weekly sales average is used to determine the selling price. The distributor is compensated based on product they purchase and sell from the bakery. Note: The distributor does not incur out of pocket expenses when purchasing the inventory. You are however responsible for any inventory that cannot be accounted for through your sales. As long as you run the business as it is designed to operate, you will not have any out of pocket expenses or losses. Flowers gives credit for stale and damaged product based on a percentage of the weekly sales. Yes, as an independent distributor you sign a distributor agreement that lays out the relationship between the parties, obligations of each party, and describes the distribution rights that the distributor owns. Currently there are 19 accounts that include grocery stores, convenience stores and restaurants. The location of the accounts and the warehouse will be disclosed upon execution of a Non-Disclosure Agreement. The current owner has owned this route and territory for 9 years. Flowers does not require a set work week. Customers service requirements for the distributor will vary from account to account. Flowers’ interest is that customers are serviced according to customer service requirements. As an independent distributor/business owner you are responsible for servicing the route. In most cases, there is a qualified “go to” person who is familiar with the company’s routes through networking with other distributors. Another option is to hire or train someone for additional time needed off. Flowers produces many well-known name brand quality products, and has been GROWING with its aggressive marketing efforts! Route is recession proof, and located in a solid, stable, productive area. Bread routes are currently the highest demanded distributorships. Turnkey, start making money the week you take over! Backed by a publicly traded company on the NYSE! Company financing available with an estimated $78,000 down! Priced to sell at $155,000!Contact Us About This Route Here! In order to provide New Buyers with as much information as possible we have put together a quick overview of the industry. 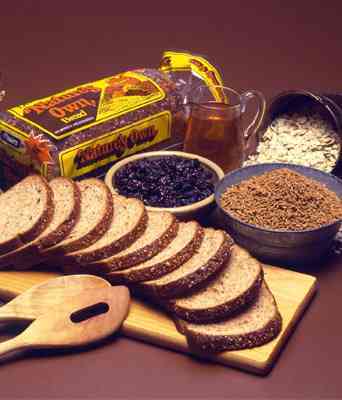 Learn More About Flowers Bread Routes Here! For additional Consulting Services with one of our route specialists Request A Consultation Here.